Our Kindergarten program was established in the year 2000 to provide a clear expectation of a child's readiness to attend primary grades. 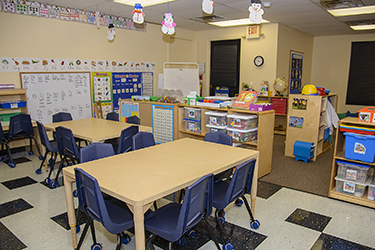 Licensed by the Rhode Island Department of Education, our classroom consists of no more than 12 children and combines high quality, structured education with individual attention in a full day setting. We offer optional before and after school care licensed through the Department of Children, Youth, and Families. Progressive Learning for Children’s Kindergarten program is aligned with the Rhode Island Early Learning Development Standards and Common Core Curriculum. Kindergarteners are a fascinating age group who understand more about themselves, others, their relationships and their abilities. They are increasingly independent, self-sufficient, dependable and responsible. 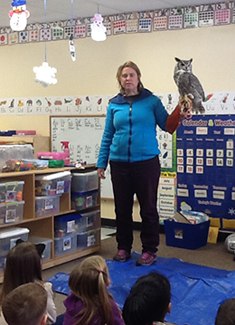 Kindergarteners are exceedingly social, curious about the outside world and exploring their environment. They use more complex language structures, speaking and understanding of paragraphs and stories as well as sentences. They can write letters and numbers with developing accuracy. They begin to extend their oral language skills to reading and writing. Our kindergarten program implements “Handwriting Without Tears,” a multi-sensory handwriting program. The teacher provides a successful program created from the child's knowledge, skill base, learning style and interest. 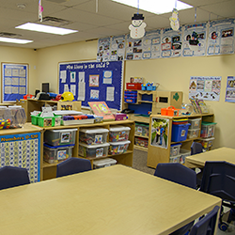 Planned instructional strategies range from individual, small and large group interactions, collaborative groups and explorations at interest centers where children make self-directed and guided choices. The integrated approach to curriculum recognizes how growth and development in one domain affects learning in other domains. Social and emotional skills are integrated with interactions with peers and teachers accomplished in our dramatic play area, block area, writing center, science center, math center, library and the manipulative and puzzle centers. Language and communication skills are practiced as children participate in writing workshops strengthening their early writing skills along with phonemic and phonological awareness. Literacy development is integrated into the curriculum using daily guided and shared reading activities, individually and in small groups. Children strengthen their early reading, comprehension, print awareness and concepts, along with an understanding that books have a purpose and convey a message. Cognitive development is achieved as children group objects, sustain attention on a task and use a variety of sources to solve problems. Science skills are exercised as children observe, predict, question, investigate and draw conclusions about their physical and natural world. Mathematics skills are exercised as children solve problems, make comparisons, notice similarities and differences in objects, categorize and group toys and materials. Children learn about numbers, patterns, shapes, time and space through various methods of instruction. Physical skills and motor development are exercised with physical activity and large and small muscles are strengthened using stringing beads, scissors, playing catch, climbing and dancing to music. Creativity is a way for children to express themselves and learn about the arts with a variety of media and various art forms. Social studies encourages children to create simple maps of home and school while identifying familiar landmarks. Children engage in sociodramatic play with classmates. We seek to form a partnership with the family to ensure your child's needs are met. Opportunities are always available for family participation. 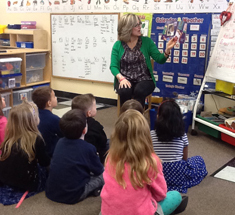 We encourage you to visit and observe our Kindergarten Program.